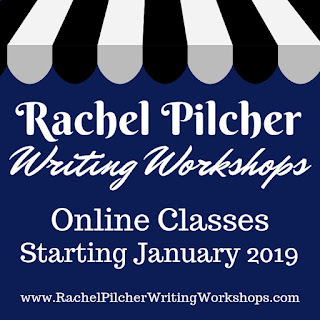 Rachel Pilcher: Online Classes are FINALLY Coming: January 2019! Online Classes are FINALLY Coming: January 2019! It’s been a long time since I was last excited about teaching a workshop. If I looked at my calendar, I could probably say exactly when the last live class I taught was, but off the top of my head, not so much. I’ve been working for almost a year to develop my first stand alone class via Udemy. I’ve had a few setbacks, mostly due to me prioritizing other tasks in front of getting the class ready, but also just being unsure how everything will translate from my live class. For anyone who has ever put something important off, you know how down it can make you feel to not accomplish something that you really wanted to do. I’ve gotten downright depressed about it. Today, though, it finally hit me that I could still do online classes, and actually do them live instead of pre-recording them! I really don’t know why it didn’t come to me sooner, especially since both my school district and several other classes I’ve taken online have used Zoom to do online conferencing webinars. It was like hitting me over the head with a brick when I figured this out. Why hadn’t I thought of it sooner? I will still work towards getting my classes on Udemy because they will be accessible at any time anyone would want to take them, but live online classes will definitely be happening in January 2019! The signup will go live in a week or two for my first online class, Write Fearlessly in the New Year. I’m so thrilled to finally be back in the teaching game!